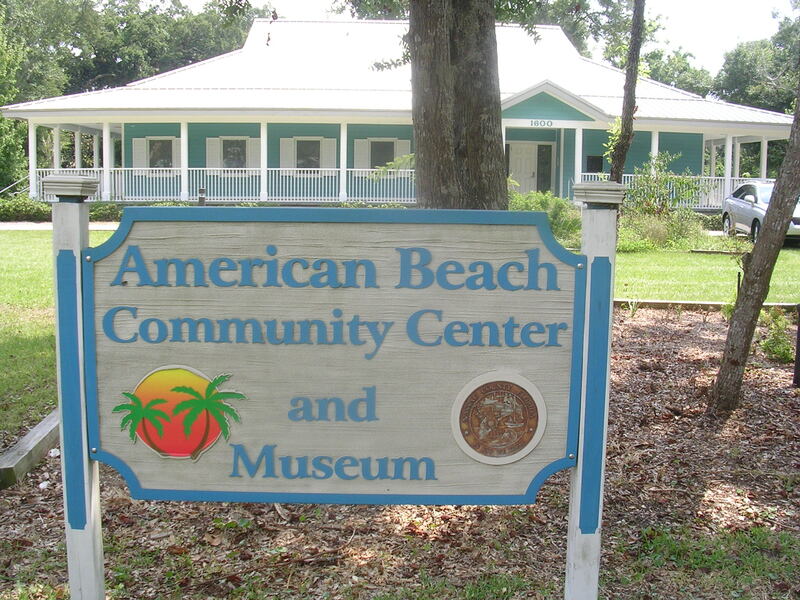 The A. L. Lewis Historical Society has announced that the American Beach Museum will observe its grand opening on Saturday, Sept. 6, 2014 at American Beach in the Gullah/Geechee Nation. Some of those who nurtured the museum from its inception, and labored to see it become a reality, regard the opening as a testament to the museum’s donors and supporters, to the beach community it represents and to the visionary who led the charge for its creation. 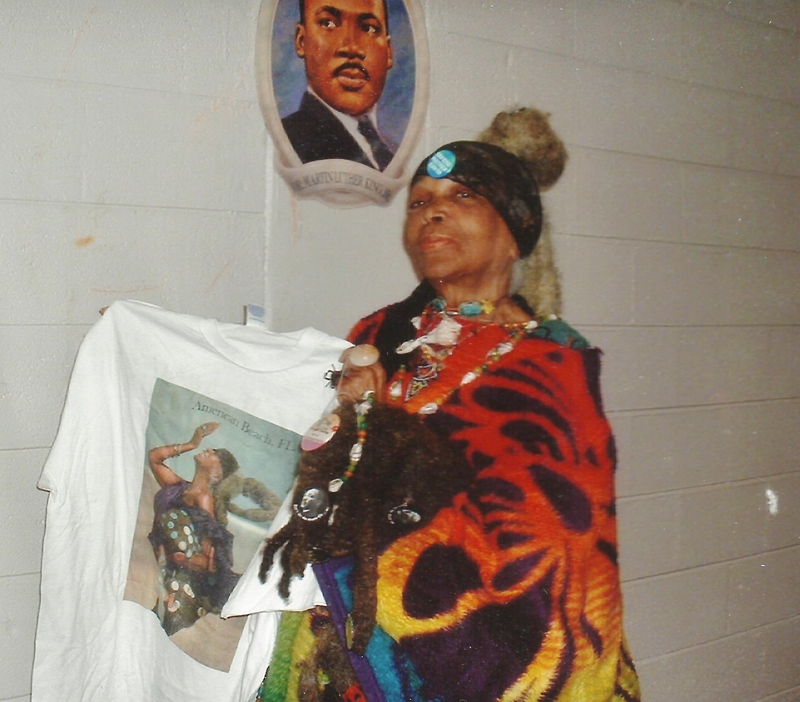 “She consistently spoke something into existence and rallied her community to see it become manifest,” Peri Frances said about her aunt, MaVynee Oshun Betsch who died in 2005 at age 70. Known popularly and affectionately as “the Beach Lady,” Betsch spent the final years of her life campaigning for construction of an edifice to include a public exhibition space to display the American Beach story. Over many years, Betsch had amassed her own personal collection of documents and materials that she housed in a recreation vehicle. “That was my museum . . . It was famous,” she said about the RV, in a 2002 oral history interview for the University of North Carolina Chapel Hill’s DocSouth, “Documenting the American South,” program. Friends also recall that she had attempted to build support for locating a museum about the beach inside the former fire house on Lewis St., the main road entering the community. The loss of the motor home, after a county code enforcement dispute that resulted in the mobile “museum’s” confiscation, reinforced the reality that a museum dedicated to telling the public about the historic African-American residential beach community would require a permanent home. Phil Scanlan recalls that the museum concept became energized when Betsch shared with him that the county had a $400 thousand state grant to build a community building on American Beach. The money had remained unspent for a decade, he said, and would have been returned to the state, unless the county invested it in the project. She asked him what they could do about it. Betsch “might have been my first good friend,” Scanlan, a retired corporate vice president, said of arriving on Amelia Island in 2000. He moved to Ocean Village, a community neighboring American Beach. The two shared common environmental interests and she recruited him into the local Sierra Club. Betsch and Scanlan began building a coalition, including members of the American Beach Property Owner’s Association (ABPOA), to lobby the Nassau County Board of Commissioners to approve the community center’s construction. But in the years that had lapsed since the initial grant award, the construction bid had doubled to $800 thousand, Scanlan said. The funding shortfall became an obstacle that had the potential to kill the community center project. American Beach, located on Amelia Island’s southern end between Summer Beach and the Omni Amelia Island resort, has a legacy of overcoming threats to its existence. Resting in the shadow of a former plantation estate, the residential community resulted from the ingenuity of seven founders of the Jacksonville-based Afro-American Life Insurance Company. The company, a former burial society, became established in 1901 and has been billed as Florida’s first life insurance company. Betsch’s great-grandfather, Abraham Lincoln Lewis, was one of the founders and her lifelong inspiration for keeping the community alive, intact and out of developers’ hands. American Beach represented a place of refuge from segregation and racism. Afro employees, among others, purchased property and built homes there. In droves African-Americans from throughout the southeast arrived at the recreational destination (made renown by a “who’s who” of black performers and celebrities), patronizing its restaurants, motels, nightclubs and shops until the romance of racial integration lured crowds away. That exodus was the near fatal blow that led to years of decline on American Beach. It would take multiple groundbreaking ceremonies and years of negotiations for the county to approve additional funding to complete the community center project. The county completed construction on the Julia St. building in April 2010. “We took the long road,” said Carlton Jones, an American Beach resident and Jacksonville developer, about seeing the museum become a reality. He served as ABPOA president during one of the beach’s tumultuous rebuilding phases. Now serving as the association’s vice-president, Jones accepted Betsch’s invitation to become a board member of the A. L. Lewis Historical Society, a dormant non-profit she “resurrected” Scanlan said. In keeping with the legacy of Betsch’s great-grandfather the historical society kept the county focused on building the community center. It also sought donors to help raise money for installing the museum inside the community center. With a team assembled and committed to the museum cause, a three-day 70th birthday celebration for Betsch in January 2005, set to coincide with American Beach’s seventh decade, served as the launching pad for the historical society’s museum campaign. The events publicized the proposed museum project and were also designed to draw donations to fund the challenging effort. In the midst of building the museum campaign, many who knew her were also aware that the Beach Lady had another challenge to confront. Her health had begun to decline following a cancer diagnosis. Sacred Gullah/Geechee Ancestor MaVynee Betsch stood proudly for the environment and for Gullah/Geechee culture. She never allowed the story of American Beach to be forgotten. Due to her efforts, the story will live on forever at Amelia Island, FL in the Gullah/Geechee Nation. Born in 1935, the year of the Great Hurricane, Mavynee Betsch’s life would come to an end during the aftermath of Hurricane Katrina, America’s most fatal natural disaster of this century. The almost mythological character—an environmentalist, conservationist and preservationist who grew her locks and fingernails to world record length, adorned herself with political buttons, orange nail polish and sea shells strung on nylon fishing string draped about her neck—spent her final hours on American Beach. “Most people really didn’t know how accomplished she was,” Jones said about Betsch’s privileged education, including elite training in piano and opera. As an heir to her great-grandfather’s millions, Betsch had chosen years before to give her inheritance away to environmental organizations. Relatives and close friends witnessed as she received her last request to feel the Atlantic Ocean against her skin and breathe the salty sea air. “She knew a museum was coming,” Betsch’s niece said, noting that the permanent structure is a constant reminder “to so many people who loved her aunt and were involved in bringing the museum” to fruition. Betsch was a master organizer, networker, strategist and campaigner, she said. The American Beach Museum is located inside the American Beach Community Center at 1600 Julia St. The grand opening on Saturday, Sept. 6 runs from 11 a.m. until 4 p.m. with tours for groups of 10. If you truly want to educate the students about Gullah/Geechee culture and to couple it with info about the National Parks system, you should go to http://www.gullahgeechee.us and you should email GullGeeCo@aol.com to bring the students of “De Gullah Root Experience Tour.” Queen Quet is on the National Parks Relevancy Committee and she is the originator of this tour which is an actually Gullah/Geechee interactive tour. So, you would be able to have the students engage in learning about the NPS system and about Gullah/Geechee culture if planned at a time that Queen Quet can personally host the group.